A signature is a group of pages that are printed in same sheet of paper both sides. All signatures contain page counts in multiples of four. In common, they are 8-page signature, 16-page signature and 32-page signature. It depends on the book size, paper and how we bind. 4-page signature and 12-page signature or 24-page signature are also available. Most of offset printing machines standard printing size is A1. So, if the book or catalog is A4, each signature is 16 pages. 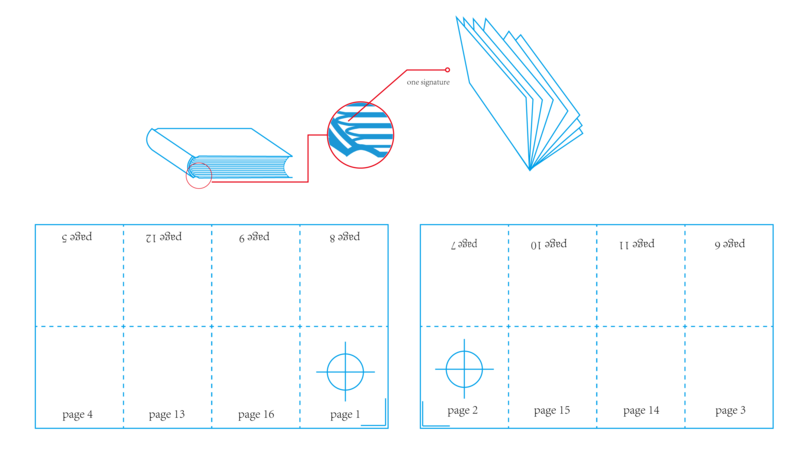 Then, you design your A4 book or A4 catalog with multiple of 16 is the most efficient. For example, if your book interior is 160 pages, it is exact 10 signatures. That’s the most efficient. If your book interior is 156 pages, we will do with 9 signatures x 16 pages per signature plus 1 signature x 8 pages per signature plus 1 signature x 4 pages per signature. So if your book interior is 158 pages, you need to plus 2 pages and make them 160 pages. When you start design your book layout, please think of this point. It can save printing cost for you. You also can contact our specialist. We will give you more printing advises.